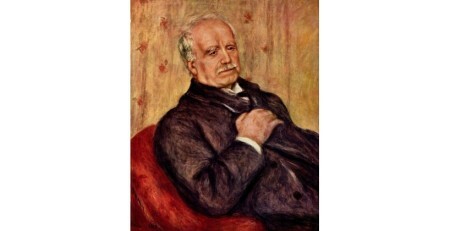 In the past, portraits were commissioned to preserve the memory of a loved one or an esteemed individual. The people who were able to commission portraits were mostly members of the aristocracy. Today, the function of portraits remains the same but more people are able to afford it. For an artist, the human form can be a difficult subject to paint so portraits can take considerable time and effort. All that time and effort could be wasted if the client is unhappy with the resulting work. With the right information and careful consideration, the client can avoid unnecessary risks and problems when commissioning a portrait. Here are just a few pointers to help the clients make the right decisions. 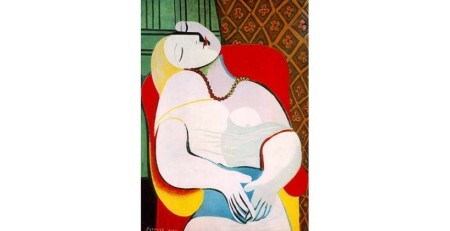 Old way: Pick an artist who paints in a style that suits your personal tastes and preferences. Many portraitists are classically trained and are capable of producing realistic images. If you want something less traditional, you should pick an artist who can paint in a modern style. Pick a local artist if possible. Being able to visit the artist’s studio will give you an opportunity to browse through his or her previous works. Remember that a portrait should capture the subject’s personality as well as the physical likeness so the artist would probably want to meet you personally. 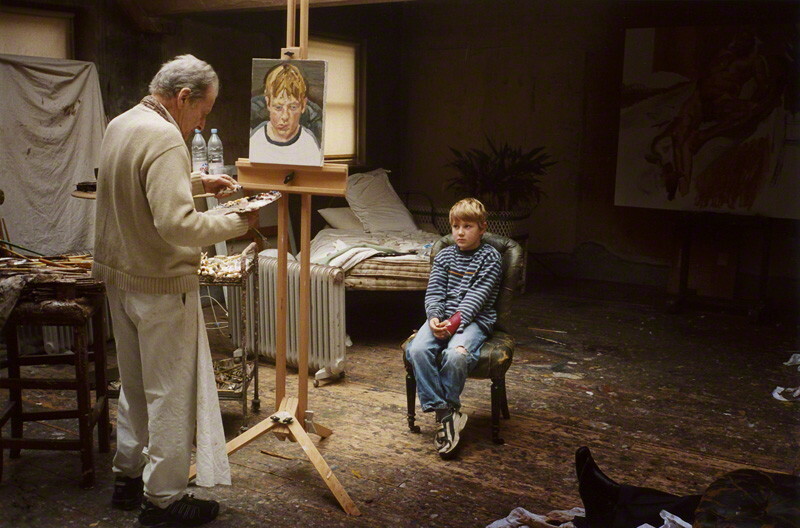 Artists today can work from photographs but some artists like to paint from life and might require several sittings. Some artist might use a combination of preliminary sketches made on the spot and detailed photos. In any case, spending some time with the artist would improve the chances of getting a successful portrait. 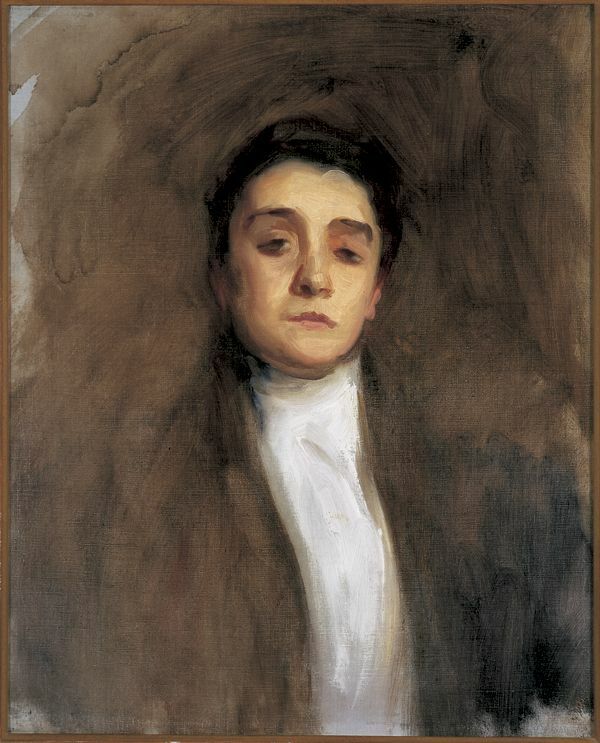 This is the unfinished portrait of the actress Eleanora Duse by John Singer Sargent. After sitting for fifty-five minutes, she stood up and told Sargent, “I wish you a thousand years of life, glory, and many children, but now goodbye”. New way: thanks to modern photography and the internet you are no longer limited to choosing a local artist. 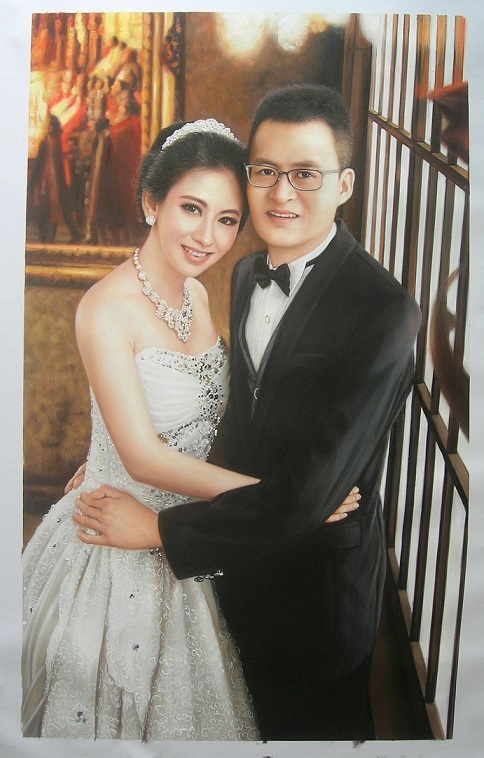 Instead, you can send a photo that you feel shows you well to us at Company of Painters and we can then have one of our portrait artists reproduce that as an oil painting on canvas. 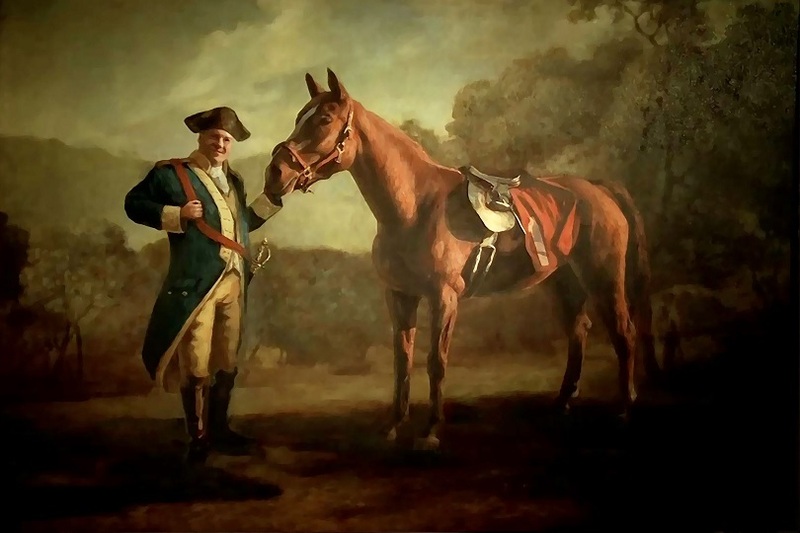 We can offer photo-realistic paintings (where we copy the detail and style of the photo) or Impressionist or even classical art – imagine you as 19th century general, similar to the famous painting in the TV show Sopranos! 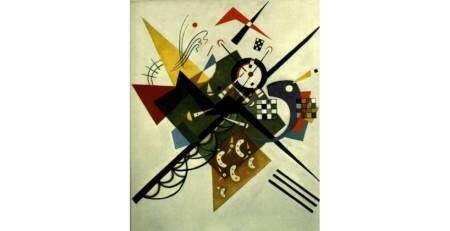 Contact us to discuss the painting. Old way: After meeting with the artist, he or she might make some recommendations about the setting, costume, posture and objects that would be included in the portrait. If you already have a photograph in mind, be open to suggestions from the artist. 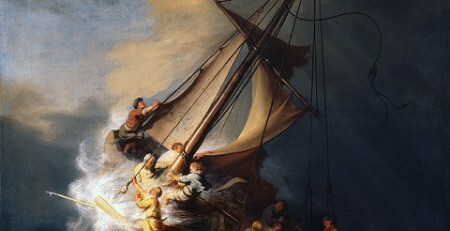 Sometimes the artist would prefer to work on a photograph that he or she personally took. New way: No need to spend days or weeks sitting rigidly in a studio. Instead, just send the photo that you’d like done, and let us do the work of turning into an oil painting. Portrait paintings make great gifts too! 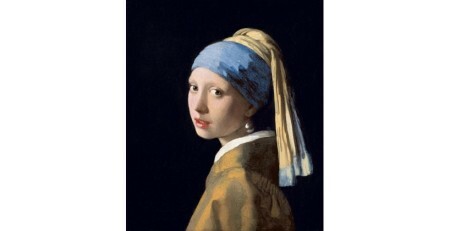 Old way: Oil on canvas are the most common materials used by artists for portraits. 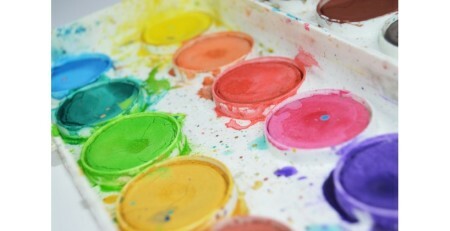 Some artists might be more proficient using other materials like watercolor, pastel, charcoal, gouache or pencil. The size of the portrait is also an important consideration for the artist. Larger portraits differ greatly from smaller works and would take much more time. New way: We generally work in oil on canvas as this medium is highly durable and easier to alter; if details aren’t quite right, oil allows the artist to paint over the offending area, whereas a watercolor would require starting again from scratch. 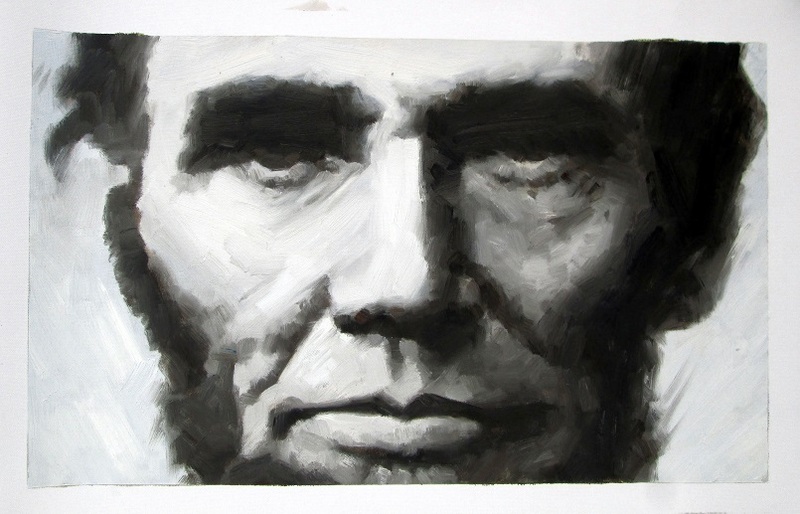 Old way: Painting the portrait can take from six weeks up to six months. Bear in mind that your portrait is a collaboration between you and the artist so you should regularly review the artist’s work. Coordinate with the artist so you could set a schedule to review the progress of the portrait. If there are any changes you’d like to make, you should tell the artist as early as possible as alterations will be more difficult if the portrait is in the later stages. New way: We usually need two to three weeks to complete the painting, at which point you will be sent photos to review and give feedback upon. If you want changes, we’ll be happy to make them. 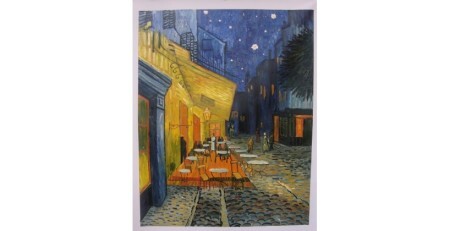 Expect to receive your painting 3-4 weeks after ordering, sooner if you’re in a hurry. Old way: Prices depend on the complexity and the size of the portrait. Discuss the price and possible payment terms with the artist before he or she starts painting the portrait. The artist might ask for an initial deposit before working on the portrait. 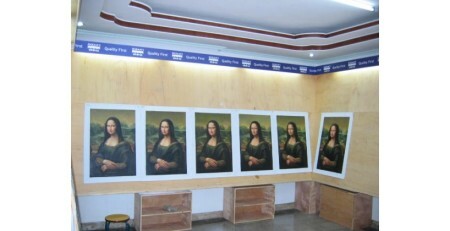 It is not uncommon for commissioned works to be paid in three installments. The final payment would be required once you accept the finished work. The artist might want to feature your portrait on his or her website so you should decide whether you want it to be seen by others. New way: Our prices are displayed clearly here and are a fraction of what people traditionally paid. The internet and working from one central location means we save a lot compared to the independent local artist, and we pass these savings on to the customer. A presidential portrait with a difference. He’s keeping an eye on things!